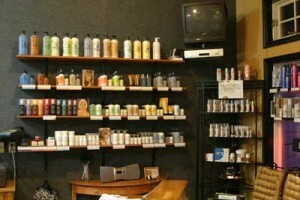 All products and services are customized for optimum health and results. Our certified, trained staff’s goal is to educate you in the latest, yet safest services and product ingredients and let you decide which treatment is best for you. 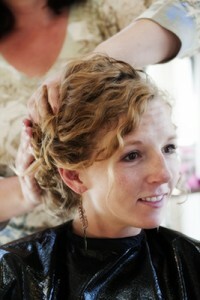 First Impressions Salon offers a variety of high quality makeup and Breckenridge beauty products. Wella and Paul Mitchell Color & Perm services: Low-Amonia, great color coverage & retention, with beautiful, healthy shine! 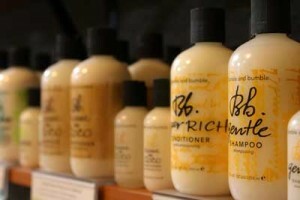 Bumble and bumble: High quality, versatile, fabulous styling line. CosMedix: Paraben Free, Glycolic Acid Free, Sodium Laurel Sulfate-Free, Cruelty Free, Chirally Correct, Free of Artificial Additives. Using a very high concentration of active ingredients that communicate with the skin and work with its natural ability to repair itself. This combination makes CosMedix the premier skincare line in the world. Your skin will love the results! Mineral Benefits : Not all mineral makeup is the same! Not only is this makeup, but first it is a mineral treatment for the skin. It is Paraben-free, Chemical-free, and Talc-free. Loaded with anti-oxidants to help protect, treat, and heal our skin, it provides a daily SPF protection naturally. Blinc Mascaras & Lash Primer: Hypo-allergenic and all the water-resistant properties without the tar, which dries out the lashes (causing breakage). The primer conditions and volumizes the lashes prior to mascara application. Revolutionary product! Babe Lash Growth Stimulator: This products truly works to lengthen your eyelashes and the price is so affordable! Fake Bake: We love this color. It’s the only self-tanner that is not orange! The light brown color is beautiful on fair thru dark skin tones. OPI: Nail Envy is the #1 natural nail strengthener! It is a miracle! SecheVite: The longest lasting fast-dry topcoat for natural and artificial nails that we’ve used!